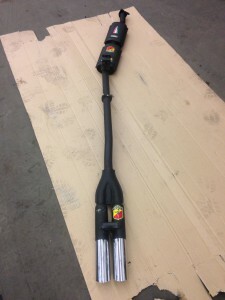 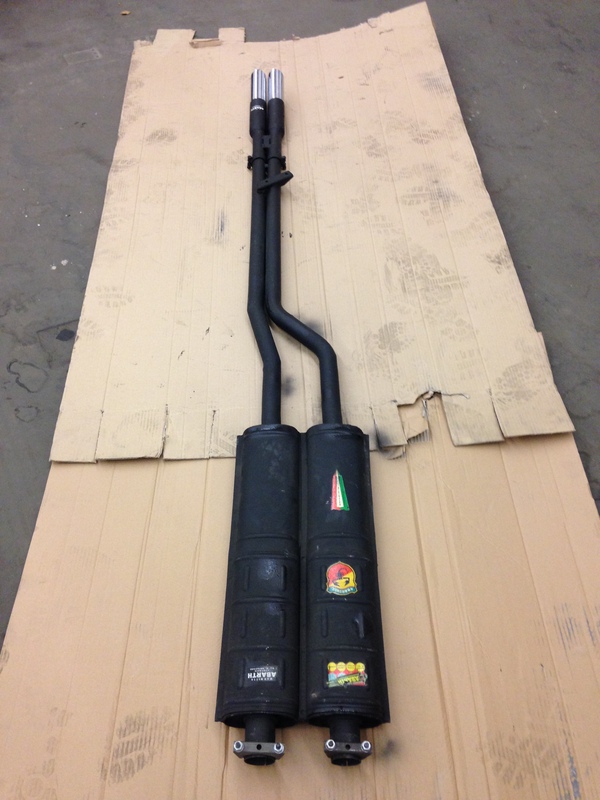 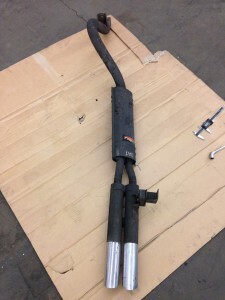 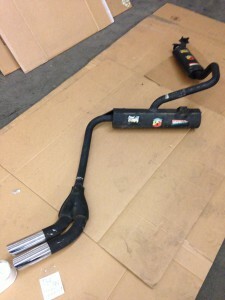 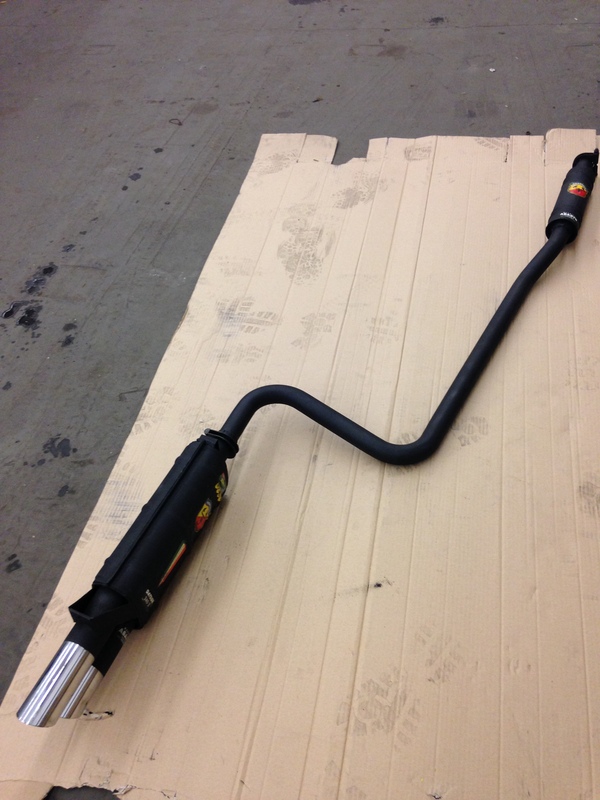 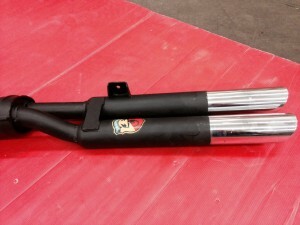 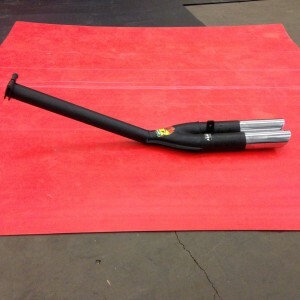 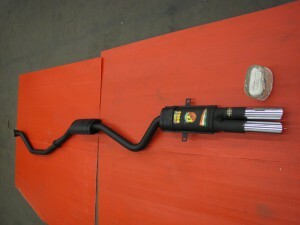 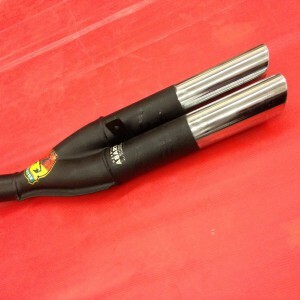 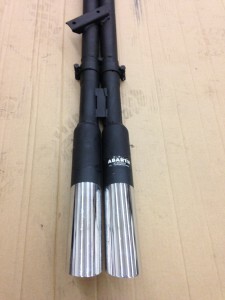 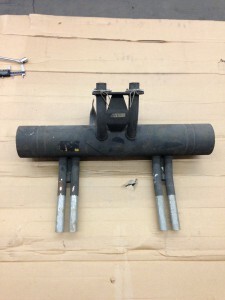 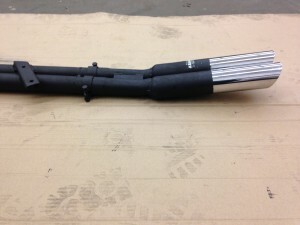 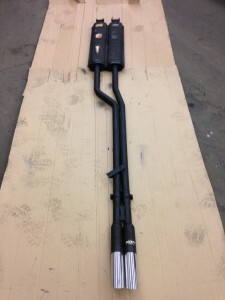 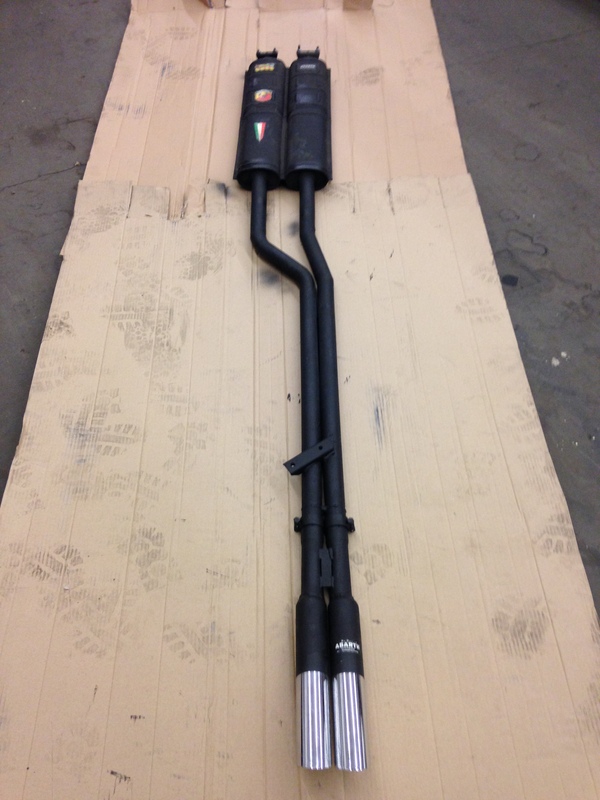 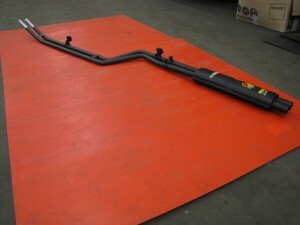 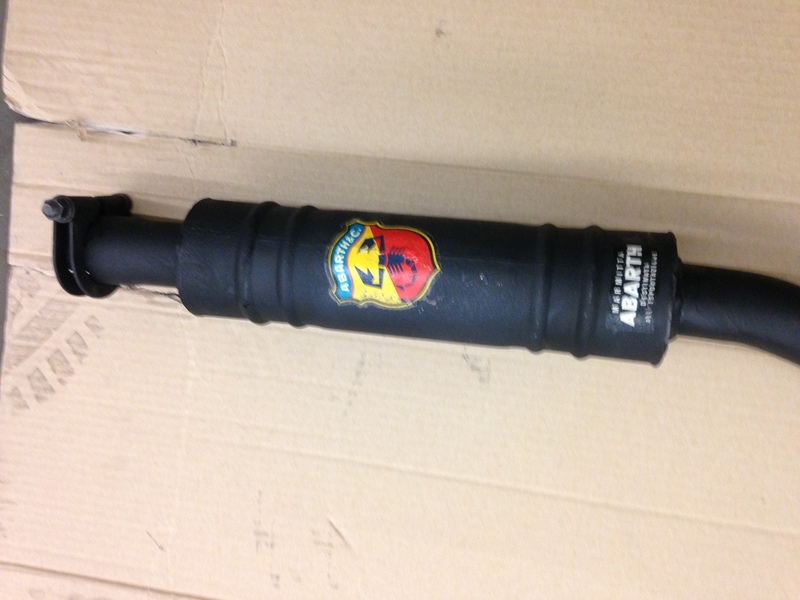 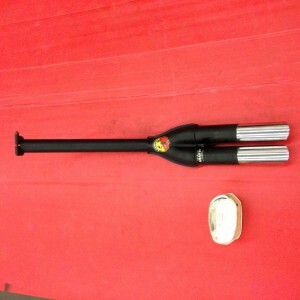 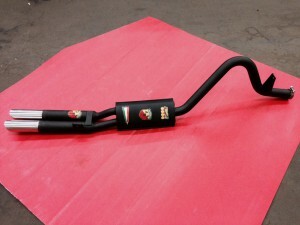 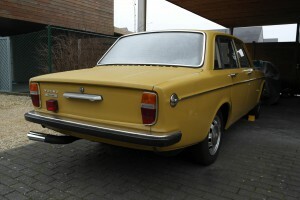 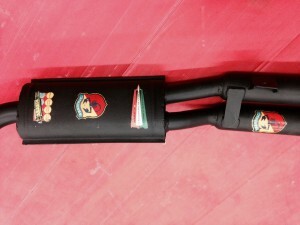 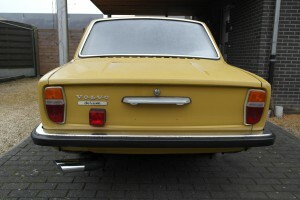 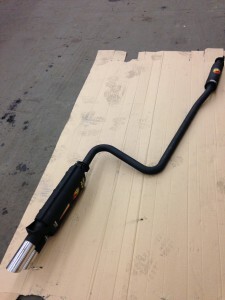 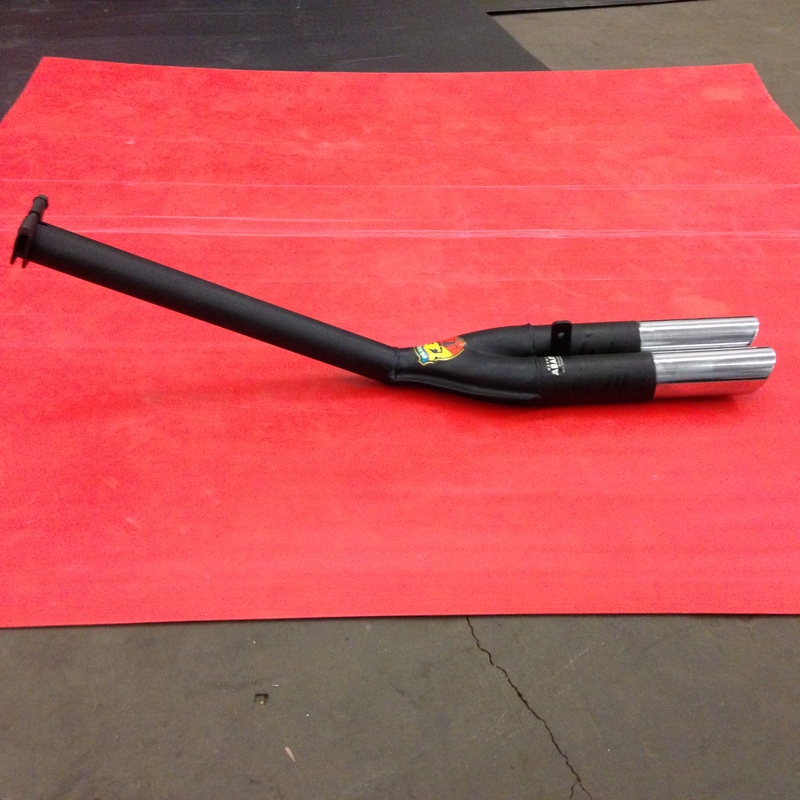 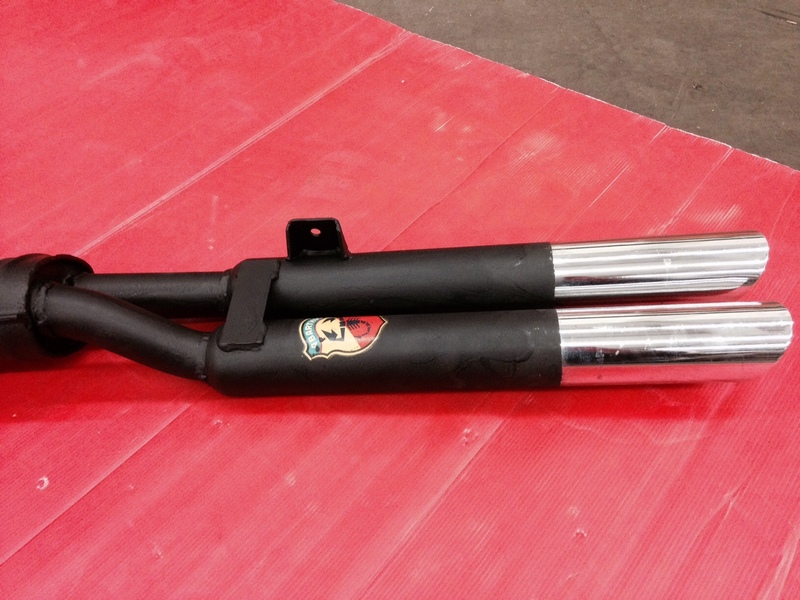 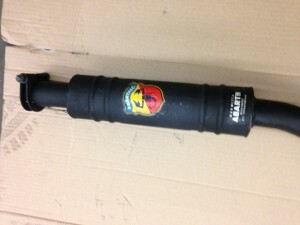 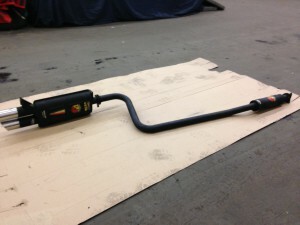 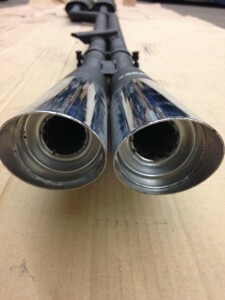 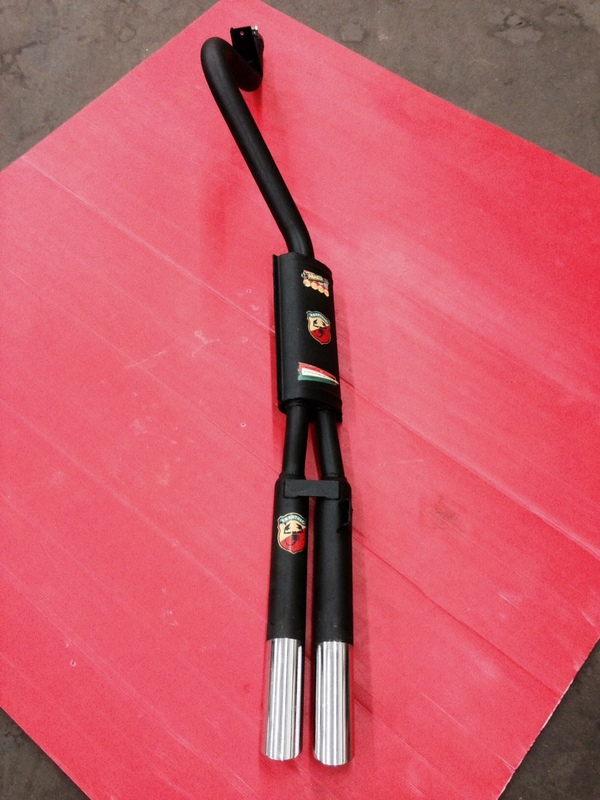 New arrived: for the Fiat 1500 Cabrio the Abarth & C. endsilencer, with twin endresonators incl. 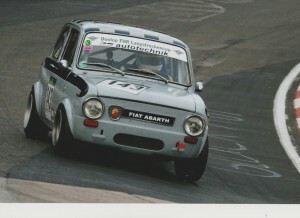 bracket and Abarth clamp, fits perfect to the standard axlepipe of 45 mm. 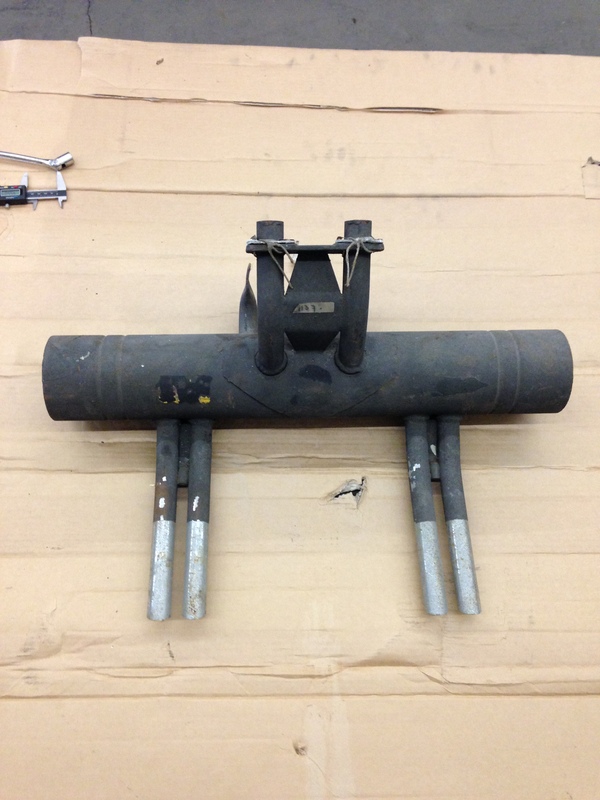 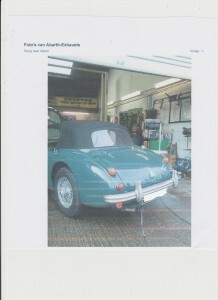 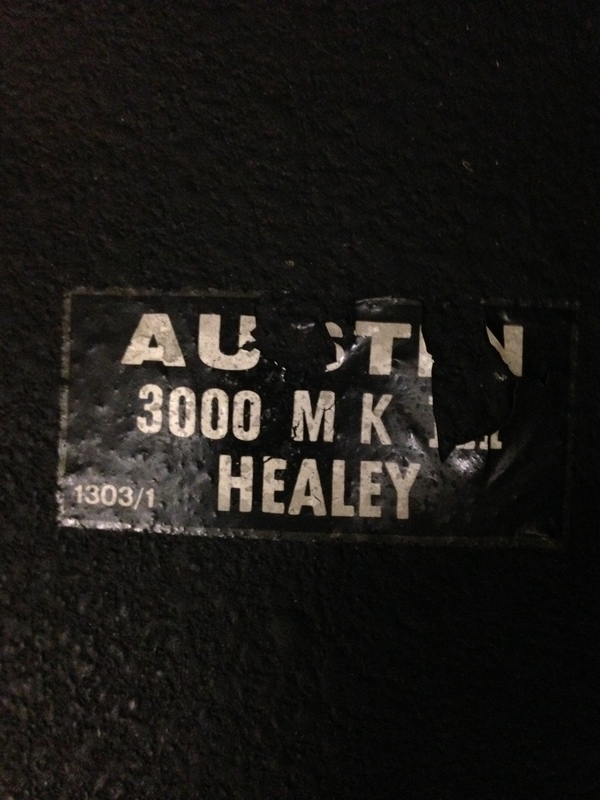 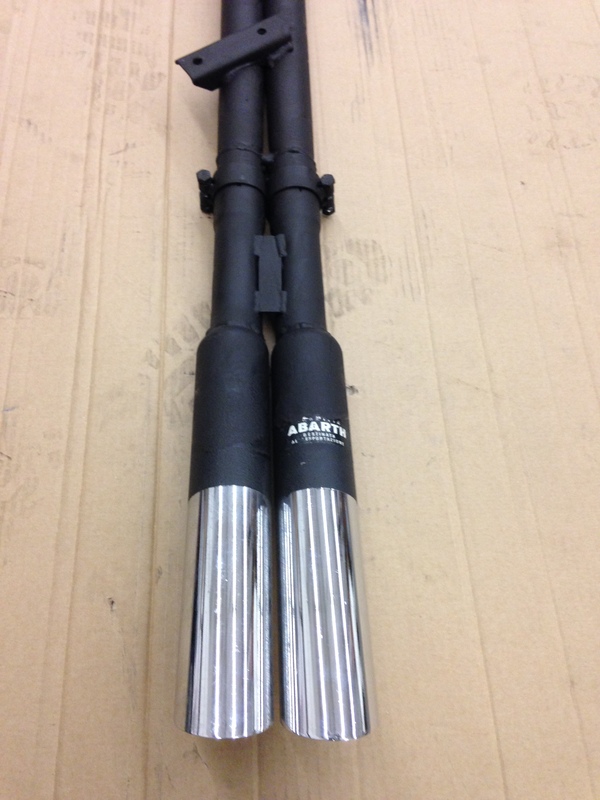 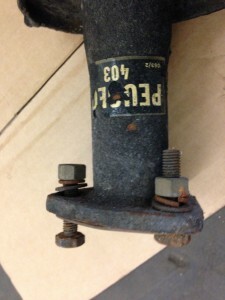 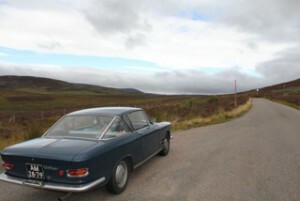 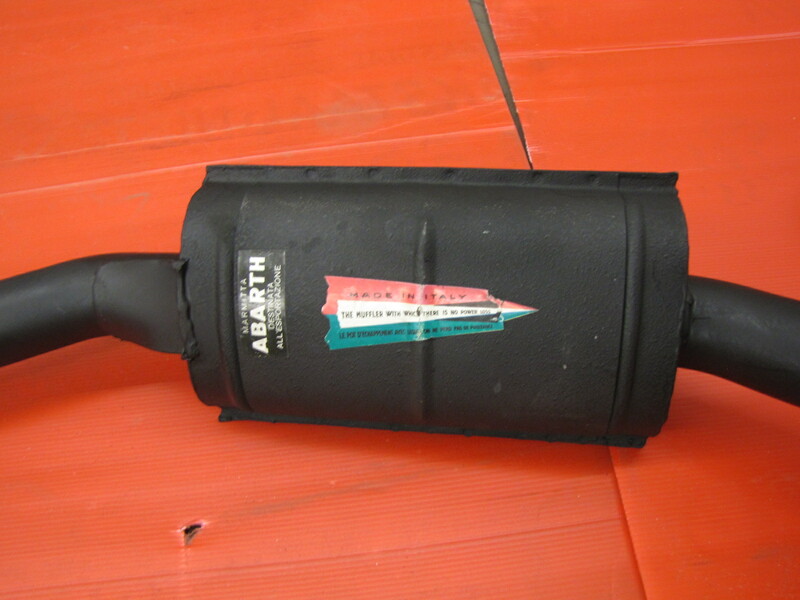 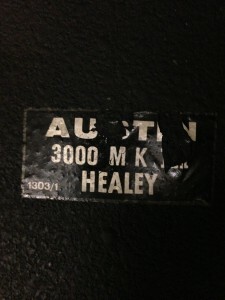 Now available for the 100/4 BN1-BN2 and the big Healey 100/6 BN4-BJ7 an original Abarth & C. 2-piece exhaustsystem. 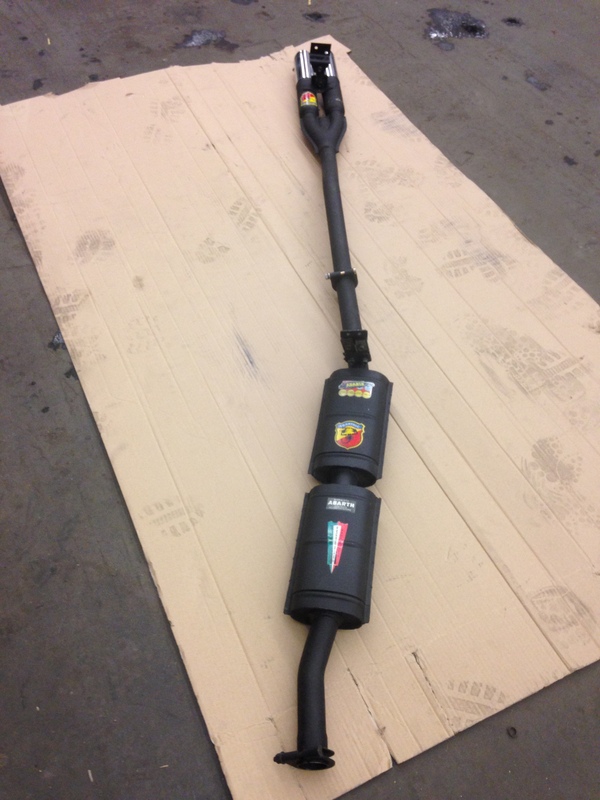 We are glad to inform you that from August 2015 the availibilty of the complete 2-piece Abarth & C. exhaust system for the Fiat-Abarth 124 Spider Rally CSA 1800.This system has an one Abarth middle- and endsilencer, pipe diameter 50 mm. 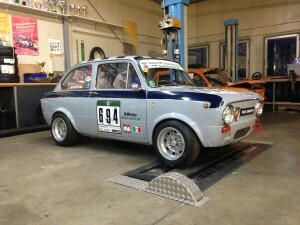 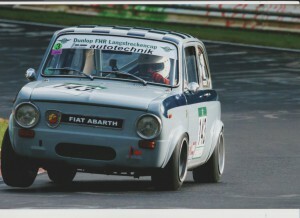 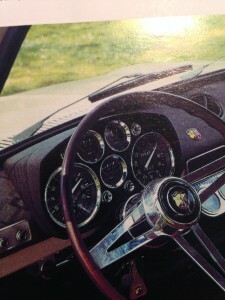 Abarth nr. 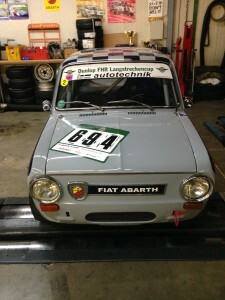 1465 including German ABE. 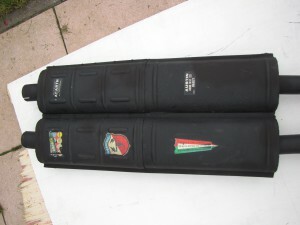 Only a few systems available, please make your reservation! 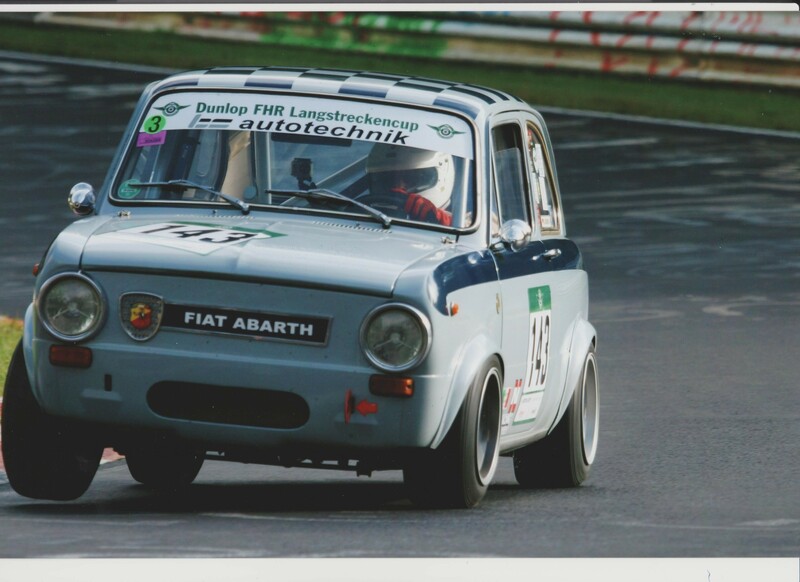 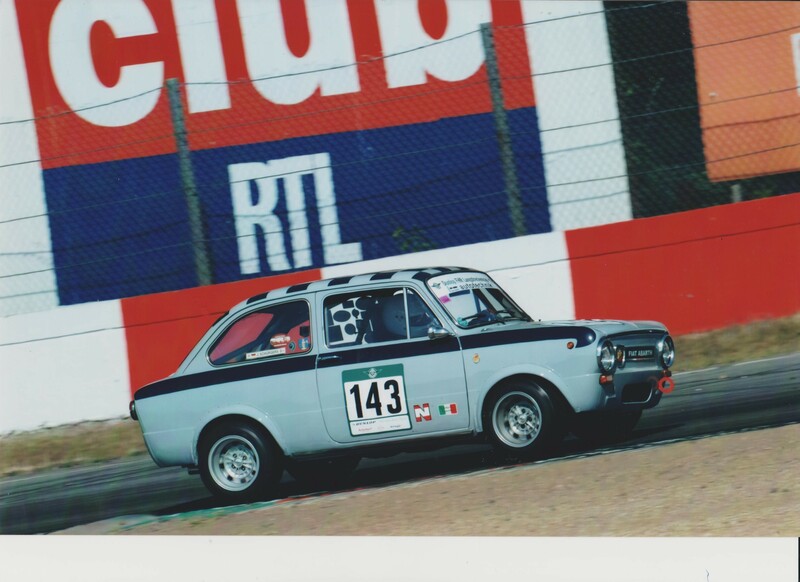 To find a replacement for our red Fiat-Abarth 1000 TC, which was recently sold to the U.K, we have now find and bought a very interesting racingcar with lots of history. 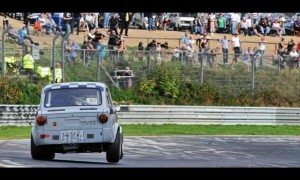 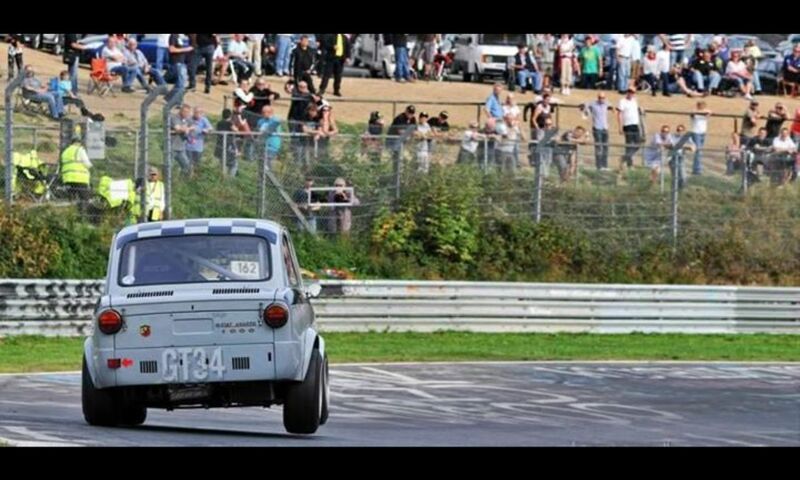 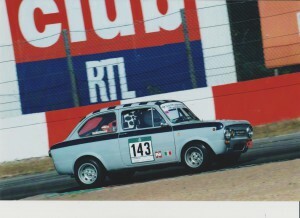 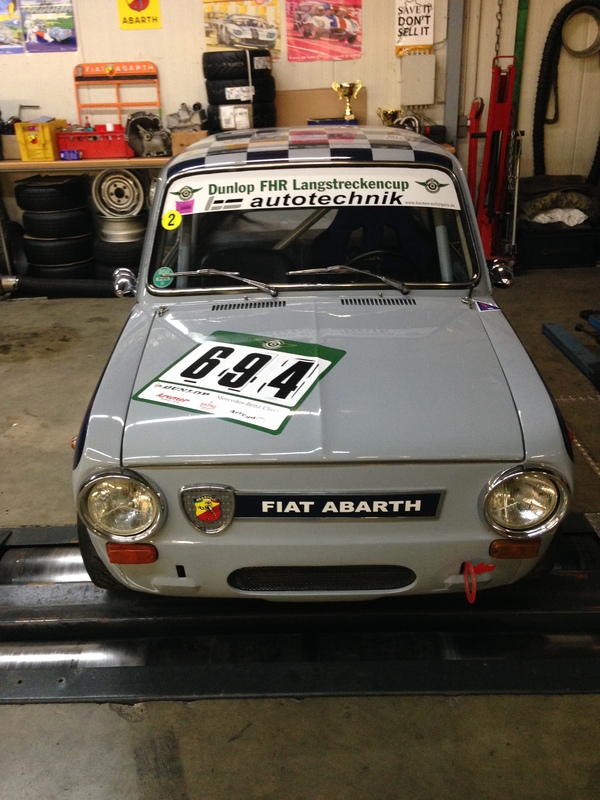 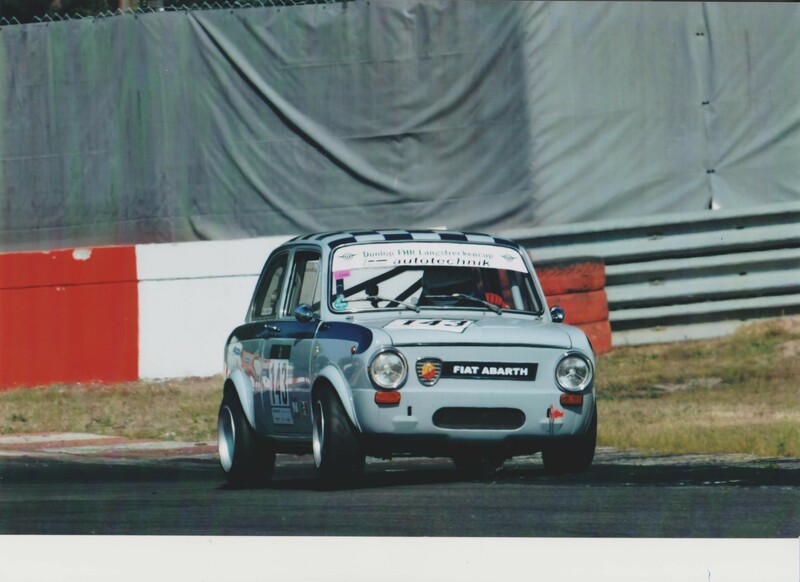 The car is a Fiat-Abarth 1000 OT, Group 2, with all FIA historical papers and DMSB Wagenpass and has been driven in the German FHR Longdistance races for quite some years. 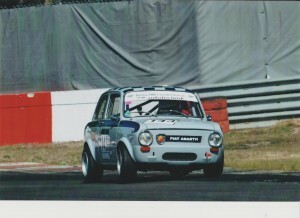 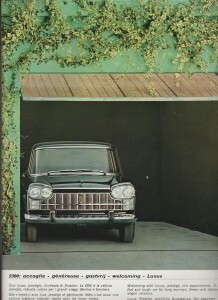 Based on the wellkown Fiat 850, which was introduced in 1964 by Fiat, Abarth & Co immediatly put their Abarth version of this model, as 1000 OT, on the market. The 1000 OT will be used on trackdays on Zandvoort(NL), Abarth Coppa Mille, Hillclimbs in Italy like Silver Flag-Vernasca and Nave-Caino-S.Eusebio and of course also the famous Historical Abarth Trackday on the Franciacorta racingtrack near Brescia. 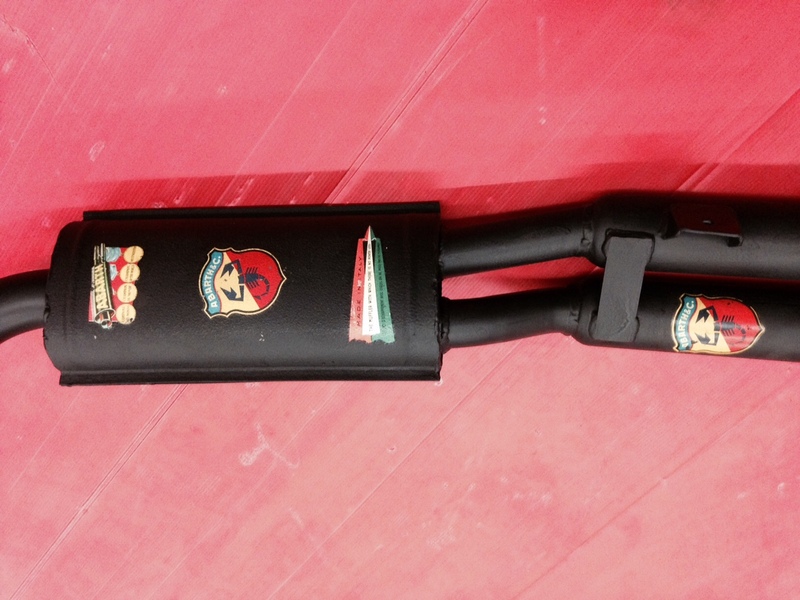 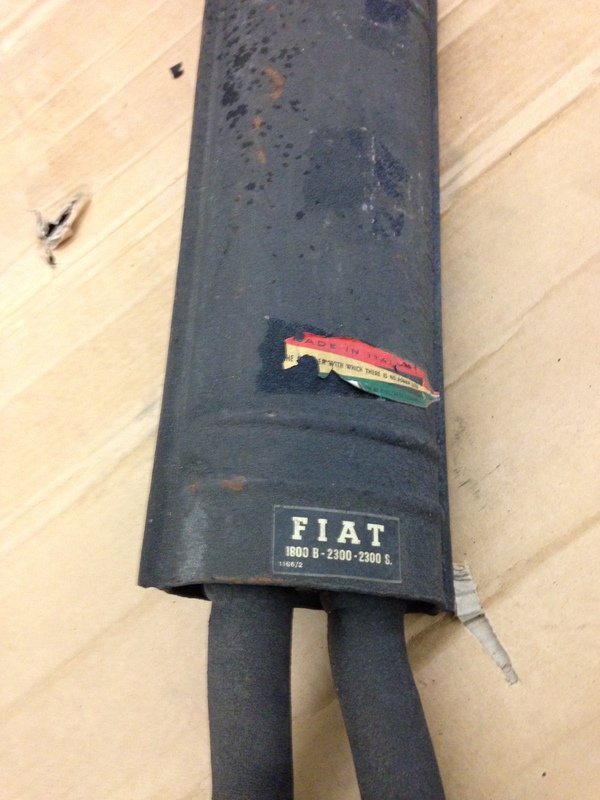 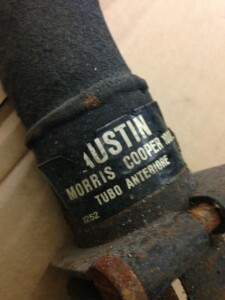 We recently discovered a nice collection of very early original Abarth exhausts, with Abarth nr’s starting from 1055. 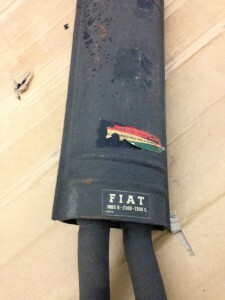 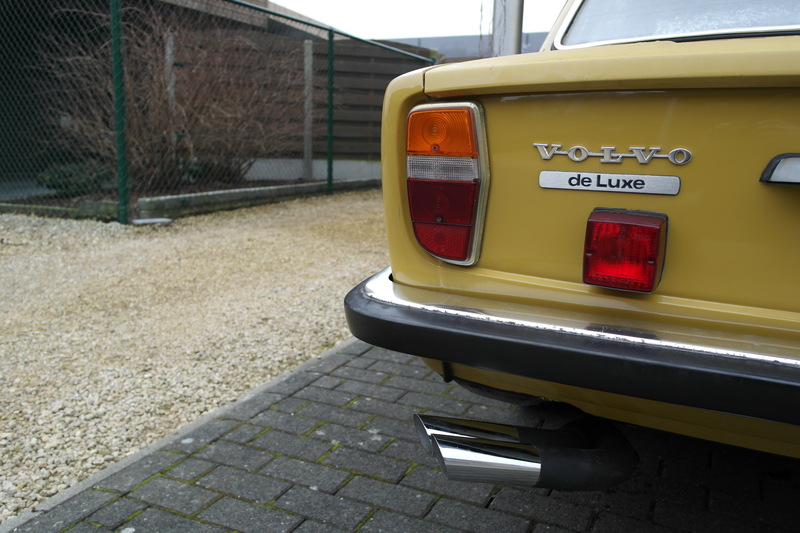 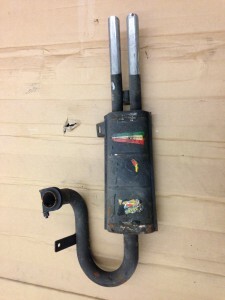 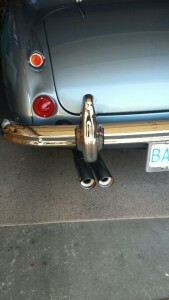 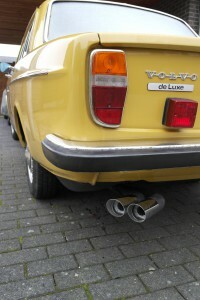 These Abarth exhausts have been lying around for decades and were very dusty, but still in good condition. 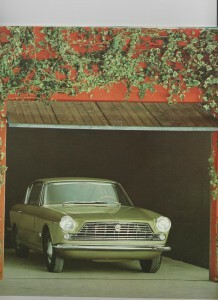 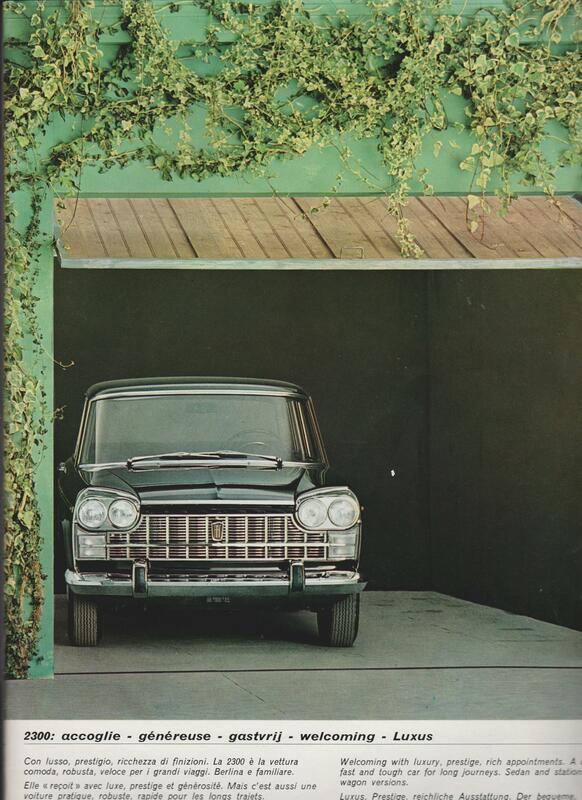 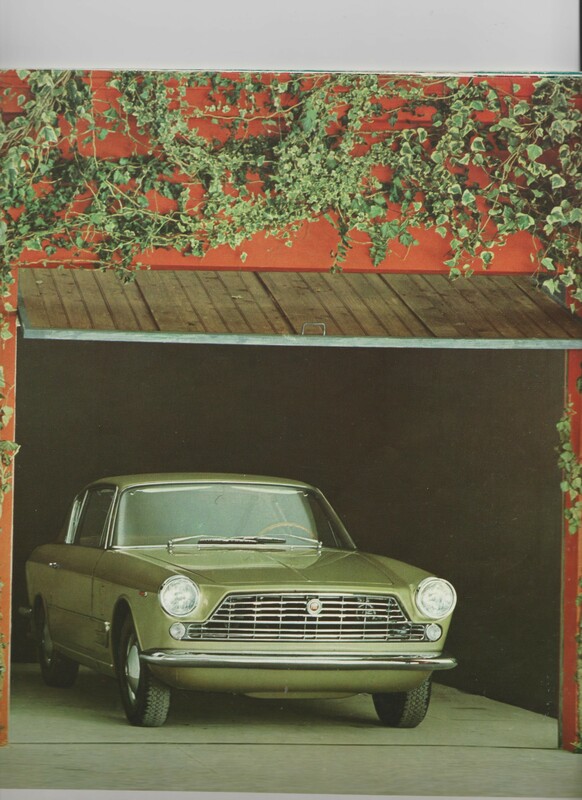 To name a few models and makes; Fiat 2300S Coupe/1800/2300 Berlina, Peugeot 403/404, Fiat 1500L, Ford 17M P3, Austin Mini Cooper 1000cc, Austin 1100-Glider,, Vauxhall Viva, Renault Dauphine Gordini Sport/Alfa Romeo, BMW 2000 N-K, BMW 1600-2 and NSU Sport Prinz, very rare four pipe version. 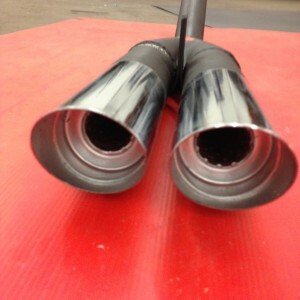 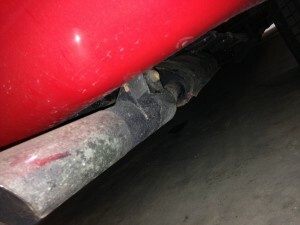 All these exhaust are for sale. 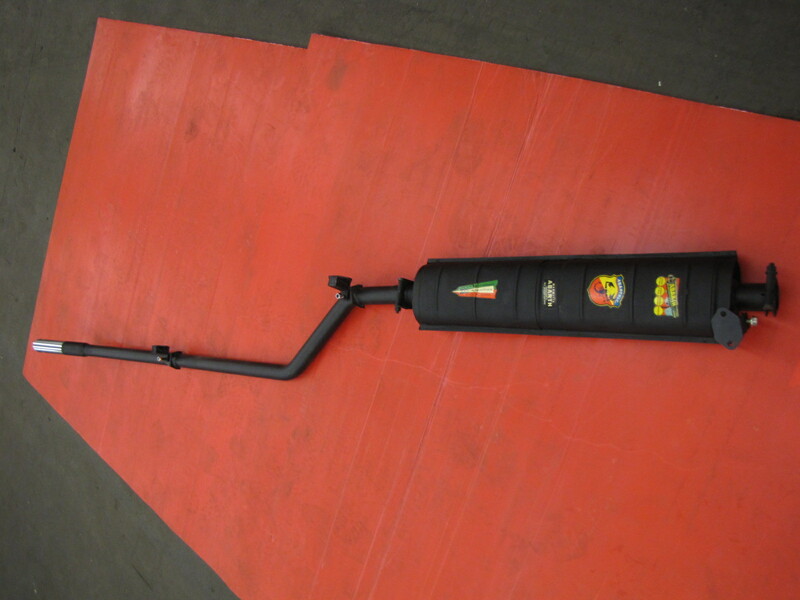 We now can offer the original Abarth & Co Sports exhaustsystem for the A-H 3000 Mk III, BJ 8. It is a two part system with the middle twinsilencer Abarth nr. 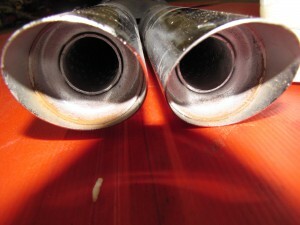 1303 and with twin 60 mm chromium endresonators which go straight through on the left side, including the bracket and clamps. Beautiful strong amazing dark Abarth sound, only a steel exhaust can make this tone! 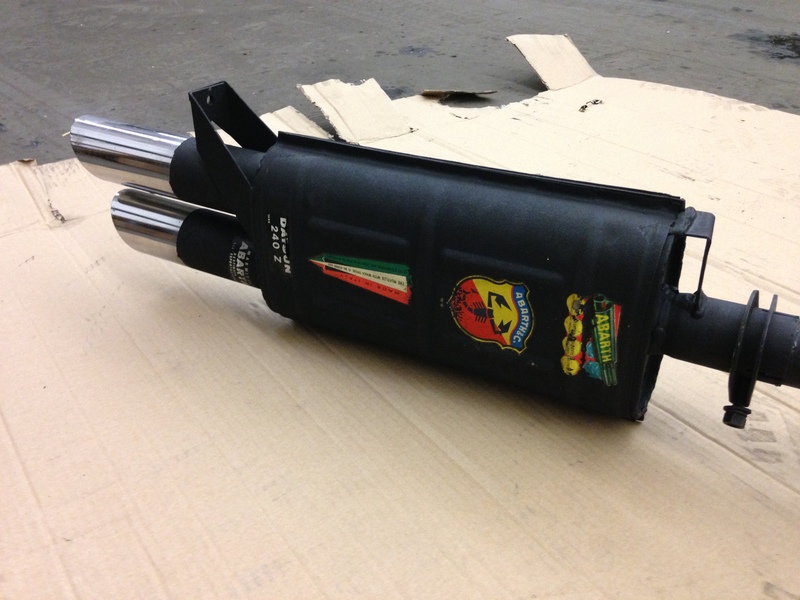 The shown version is ready to be send overseas(outside Europe) because of the maximum length of 120 cm.